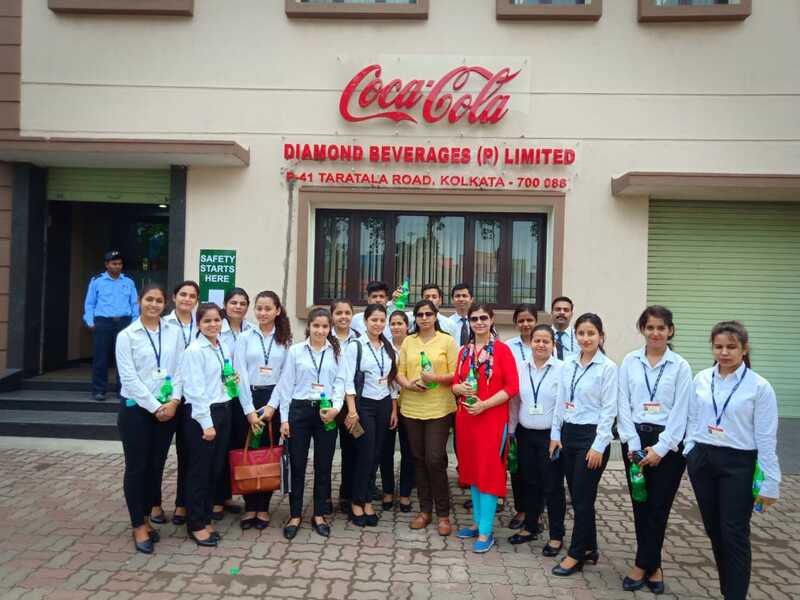 On 10th of April 2019, twenty students from MBA-22 batch of Army Institute Of Management, Kolkata had gone to the bottling partners of Coca-Cola-Diamond Beverages Private Limited For an industrial visit. Diamond Beverages Pvt.Ltd (DBPL) is an authorized bottler of the Coca-Cola Company, manufacturing and selling different products under Coca-Cola brand name. 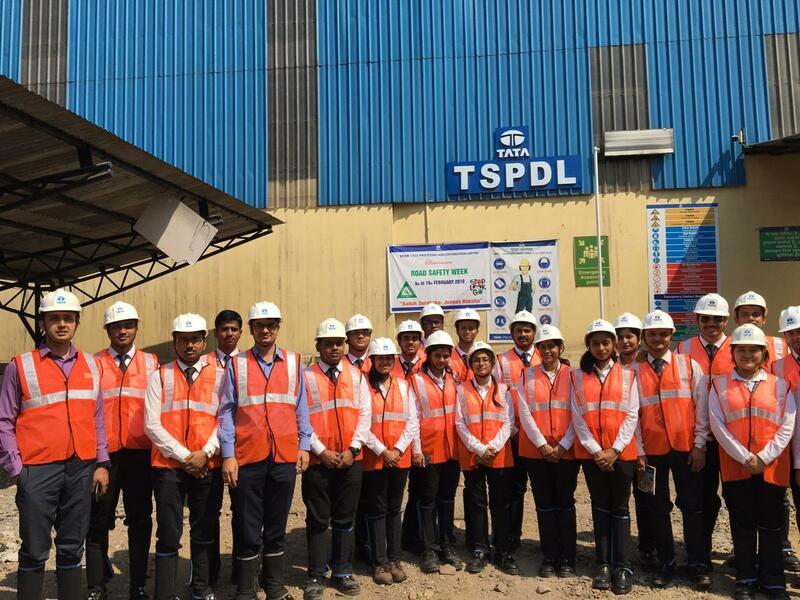 On the 21st and 22nd of February 2019, students from MBA-22 batch of Army Institute of Management, kolkata have gone to the Jamshdpure plant of Tata Steel Processing and Distribution Limited (TSPDL)for a industrial visit. TSPDL is a wholly owned subsidiary of Tata Steel. It is a pioneer and leader in organised steel processing and cutting industry. With 8 large processing units, 11 distribution centers and other stakeholders, today TSPDL is Indias larest steel survice center Organization. 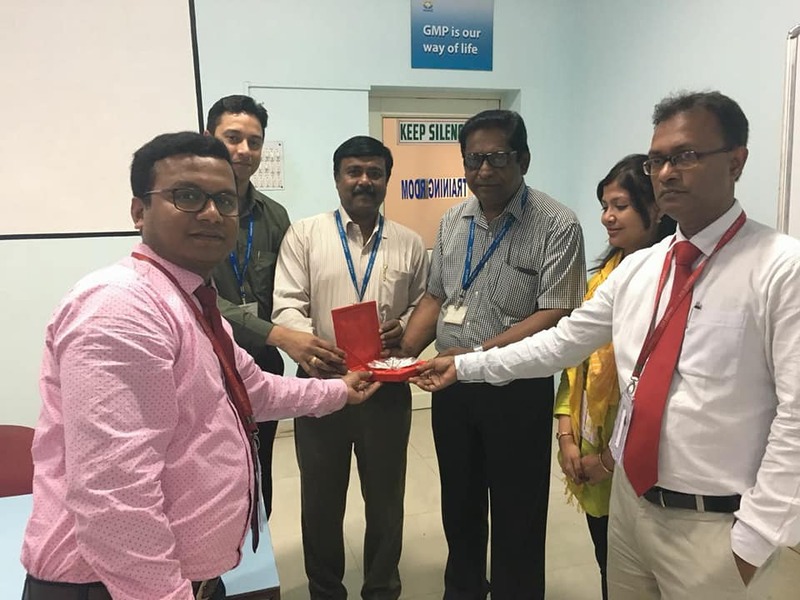 An Industry visit was organized by Army Institute of Management Kolkata on 12 Feb 2019 at KHAITAN WINDING WIRES PVT LTD at Jalan Industrial Estate, Howrah. Students of MBA batch 22 along with one faculty member participated in this. Students were exposed to the production process along with marketing, HR and Financial issues of the factory. It was a learning experience for all the students. 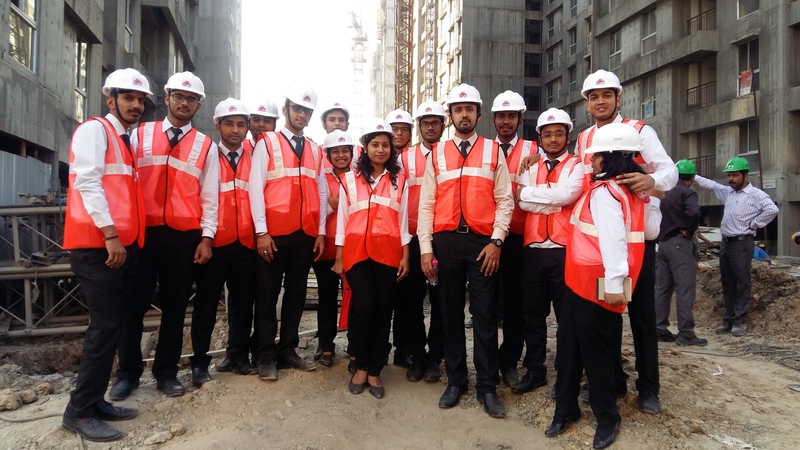 On Thursday, 7th of February, students from MBA22 got an opportunity to visit Shapoorji Pallonji Co. Group of students including Dr. Sweta Rani headed towards the project location named as ‘Sukhobrishti’ near New Town, Kolkata. As group reached the place, they were offered to sit in the conference room followed by refreshments. The Project Manager guided us through the current project which was ‘Sukhobrishti’ which when elaborated means ‘Rain of Happiness’. The project clearly focussed to provide shelter to the lower class and family of the middle class earnings at affordable and reasonable price. This project was initiated by West Bengal Government in 150 acres of land in the outskirts of City of Joy. After this we were accompanied by two of the representatives towards the site of construction. There was no local or cheap quality of raw materials was being used and also they have got the certification of quality and tested by concerned department. The impeccable quality was the marbles which was supplied from Rajkot, Gujarat and the wall consists of concrete and reinforcement without bricks i.e. R.C.C walls. In the end we headed towards a sample flat which was 2BHK in mint condition with 780 square feet area and provided with all amenities, cost around 28 lakhs. It was great experience on being to a place where representatives cordially interacted and guided in through the whole site. It was a day of immense honour and satisfaction as we were finally leaving for our auspicious campus. 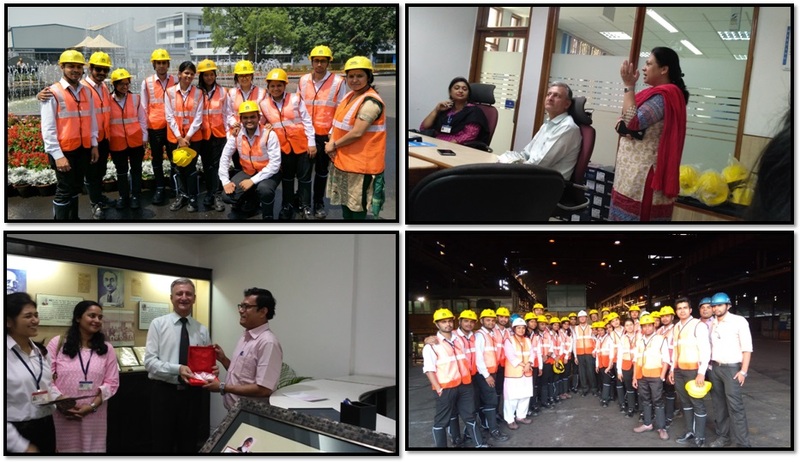 An industrial visit to TATA MOTORS, TSPDL, TATA STEEL CENTER OF EXCELLENCE, ISWPL-WRM was organized by Army Institute of Management Kolkata on 26-27 March 2018. A team of 25 students, 2 faculty & Director Sir visited the all the plant are located in Jamshedpur, Jharkhand. TATA Steel Centre of Excellence, located near the Jubilee Park in Jamshedpur gives the visitors a holistic view of the pioneering efforts of the founders of Tata, the planners and technocrats of yester years who shaped the destiny of the country and shaped her path towards industrialization. 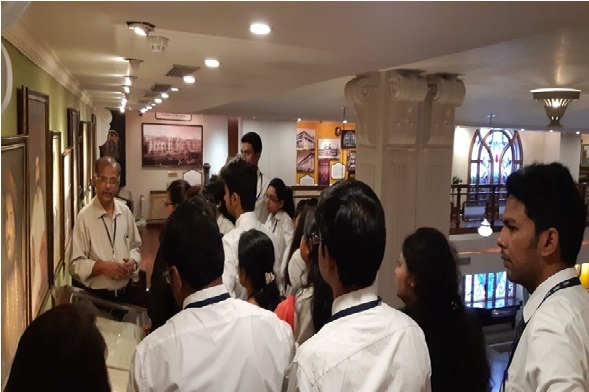 Students of Army Institute of Management Kolkata got to visit the museum which contained the life synopsis of the founder of the Tata group – Mr. Jamsedji Nusserwanji Tata. 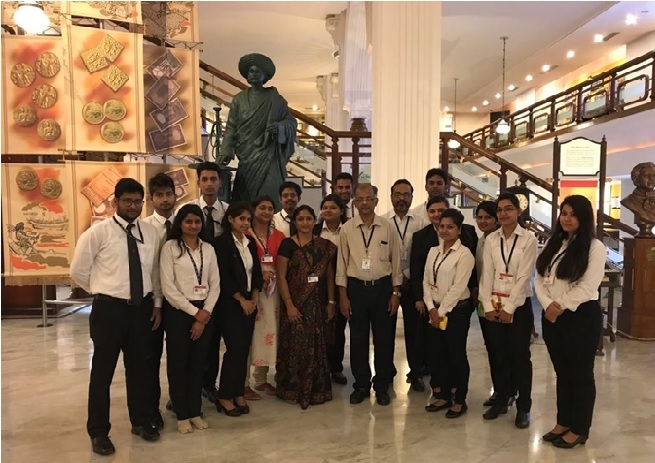 Under the guidance of Mr. Swarup Sengupta , the students clocked back in time to understand the life and times of the great industrialist pioneer of our country. Students of Army Institute of Management Kolkata got the opportunity to visit the Bara unit in Jamshedpur set in 1997. Headquartered in Kolkata , TSPDL’s sophisticated processing facilities include hot rolled, cold rolled, coated and uncoated and rebar. The plant is equipped to process and deliver processed steel rolls to its vendors. TSPDL has been partnering with TATA Steel in delivering the best product and service quality to reputed OEMs in India like Tata Motors, TVS, Ashok Leyland, Toyota, Ford, Hyundai,Honda, Maruti Suzuki etc. ISWPL-WRM is a subsidiary unit of TATA Steel Ltd. and is one of the oldest plants in India. It was established in 1935.The Mill has a capacity to produce 220000 MT of Finished Goods per annum. ISWP Rodmill is the only mill in India which produces 6mm Fe 500D TMT Rebars. With help of M/S Shloemann AG, Germany its roughing and intermediate section was modernized in 1960 whereas in 1988-89 Danieli Morgardshammar ‘No Twist Mill block ‘ was installed. At Tata Motors their Corporate Social Responsibility efforts are focused on improving the quality of life of underprivileged communities neighboring their business operations. Their interventions focus on health education employability and environment impacting over 5,80,000 people in India. 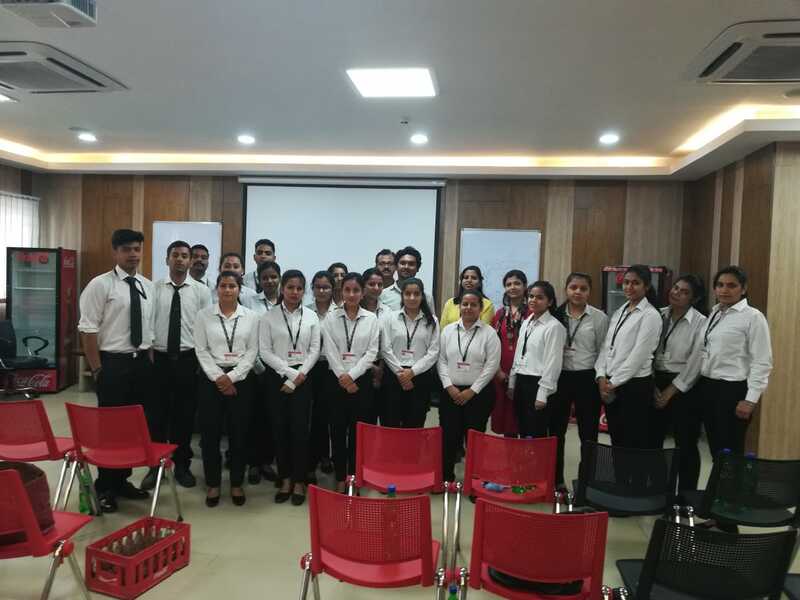 A batch of 23 students of MBA21(2017-19) and a faculty member, Dr Swapna Datta Khan visited Diamond Beverages Pvt. Ltd, Kolkata on 28 Mar 18. The visit was insightful and educative regarding the manufacture and marketing operations of the company with respect to the product: Sprite 2 Litre Bottle. 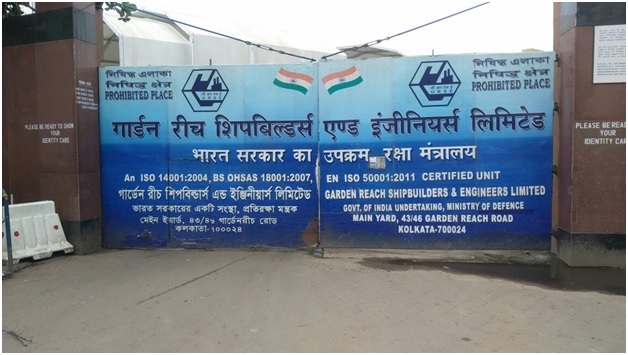 INDUSTRIAL VISIT TO HALDIA PETROCHEMICALS LTD.
An industrial visit to Haldia Petrochemicals Ltd was organized by Army Institute of Management Kolkata on Thursday 15 March 2018. 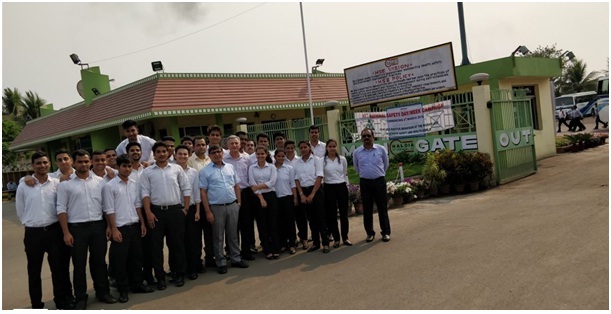 A team of 23 students, 1 faculty & Director Sir visited the plant, located in Haldia West Bengal. 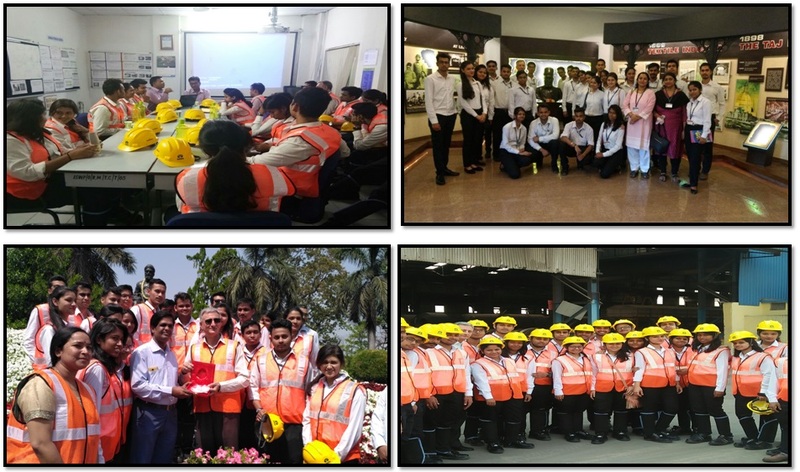 The manufacturing process, packaging, storage, logistics and the HR policies of the factory have been briefed to the students, followed by the plant visit. 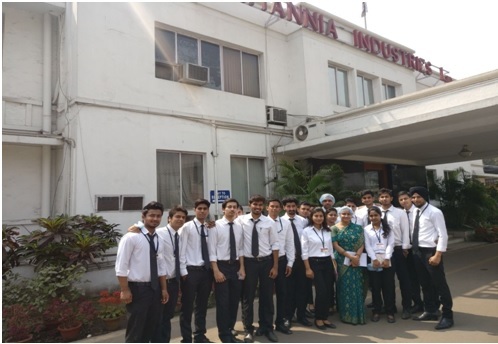 INDUSTRIAL VISIT TO BRITANNIA INDUSTRIES LTD.
An industrial visit to Britannia Industries Ltd.”, 15, Taratala Road, Kolkata-88, was organized by the Army Institute of Management, Kolkata on Wednesday, 21 February 2018. 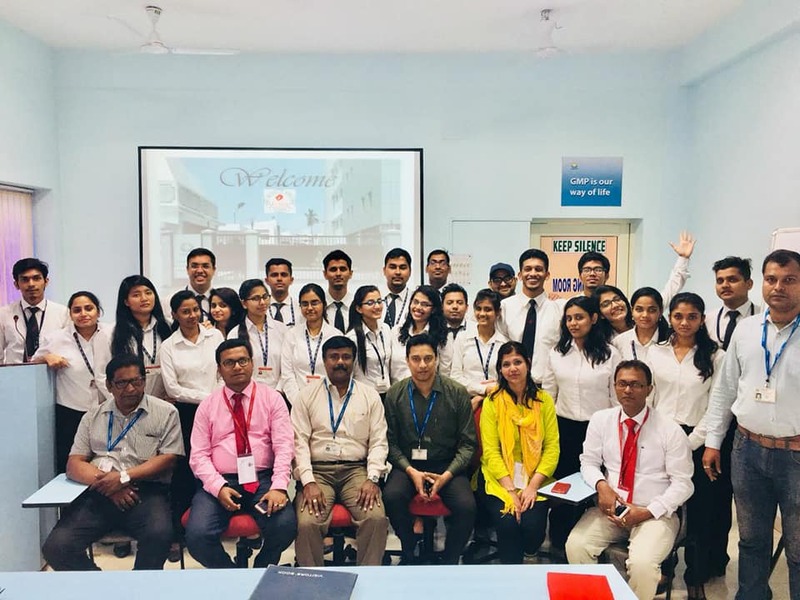 21 management students of MBA-21 with Professor Debaleena Chatterjee visited the oldest manufacturing unit, the mother plant that runs 24*7 in three batches. 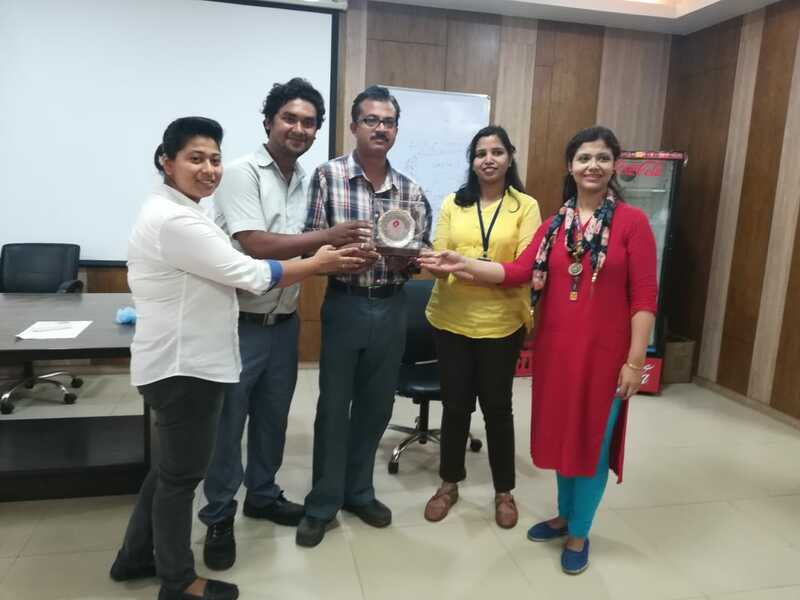 This was an eye opener experience for the students to observe and learn the process of procurement, operations, inventory management and packaging strategies with the market leader of biscuit industry in India. An industrial visit to “Shapoorji Pallonji Real Estate”, New Town, Salt Lake, Kolkata, and WB-700058 was organized by the Army Institute of Management, Kolkata on Friday, 23 February 2018. 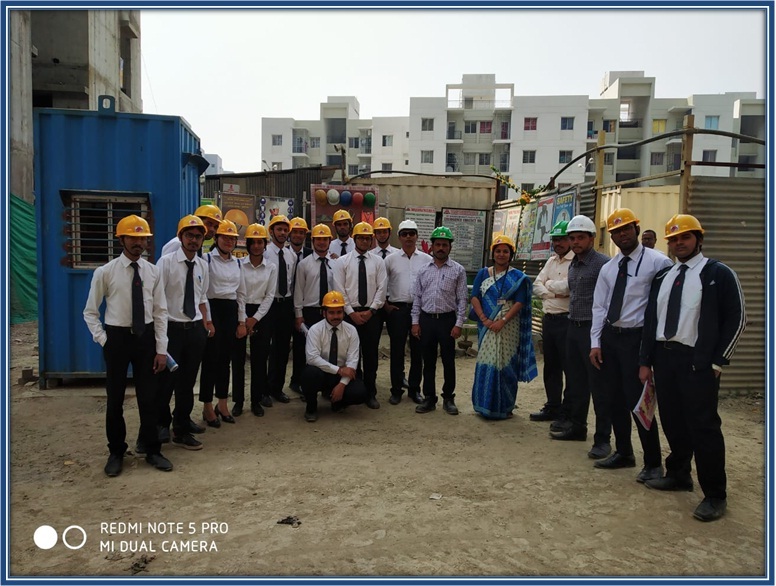 Fifteen management students of MBA-21 with 1 faculty visited to Shapoorji Pallonji Real Estate to interact with the industry to understand current market scenario, about the development in the project. In this visit students were eagerly waiting for listening to industrial higher authorities. 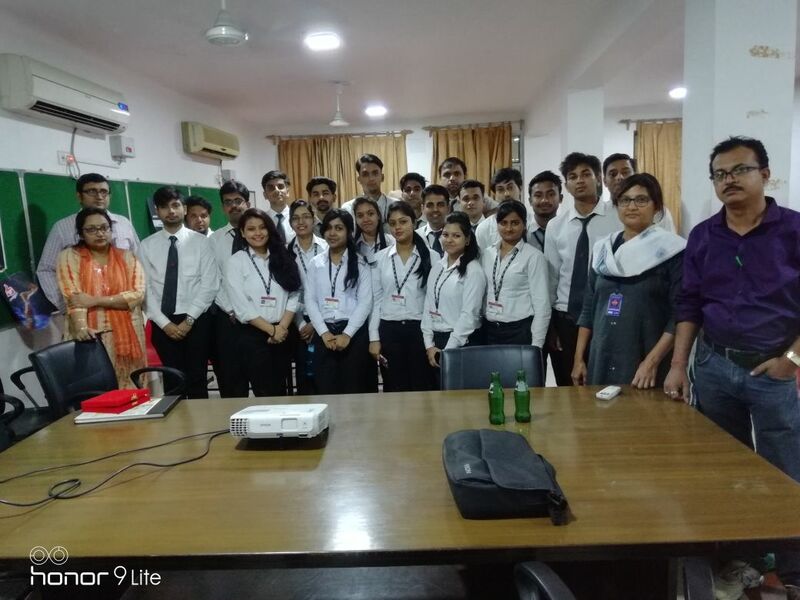 An industrial visit to “EMAMI INDUSTRY LTD.”, 13, Barrack pore Trunk RD, Rathala, Santhi Nagra Colony, Belghoria, Kolkata, and WB-700058 was organized by the Army Institute of Management, Kolkata on Thursday, 08 February 2018. 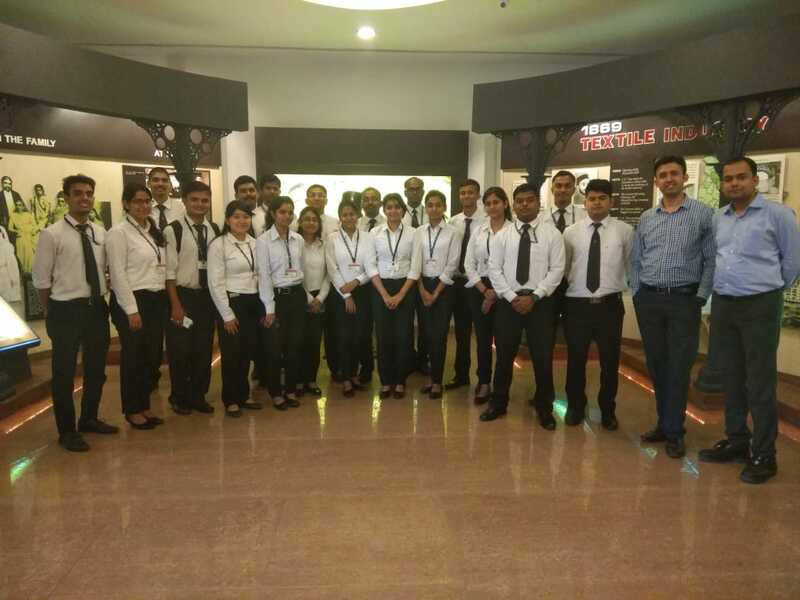 25 management students of MBA-21 with 3 faculties visited to Emami Industry to interact with the FMCG industry to understand current market scenario, latest demand and criteria for selection etc. In this visit students were eagerly waiting for listening to industrial higher authorities. 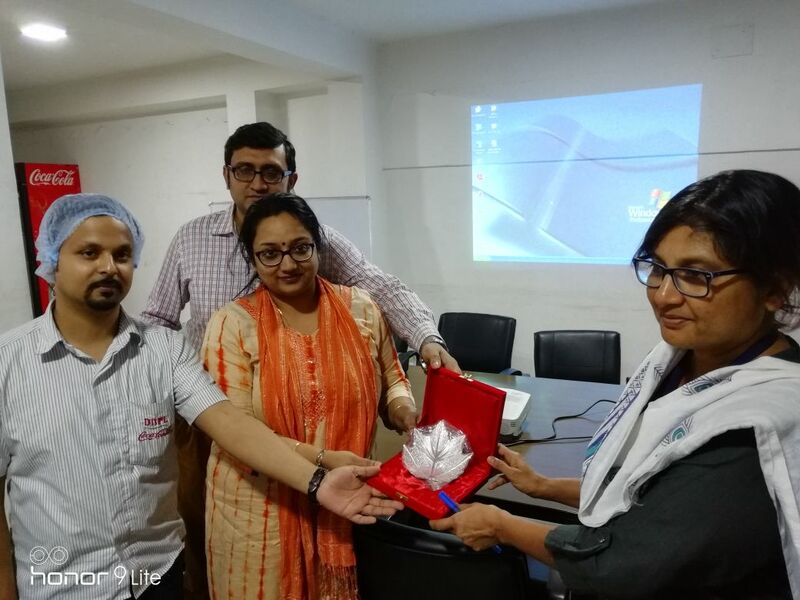 An industrial visit to SBI LHO, Samriddhi Bhavan, 1 Strand Road, Kolkata-700001. It was organized by the Army Institute of Management, Kolkata on Thursday, 08 February 2018. Students of AIM K visited Coca Cola plant on 18 March, 2017. Organized industrial visit by the Institute at Emami Industries on 18 March, 2017. 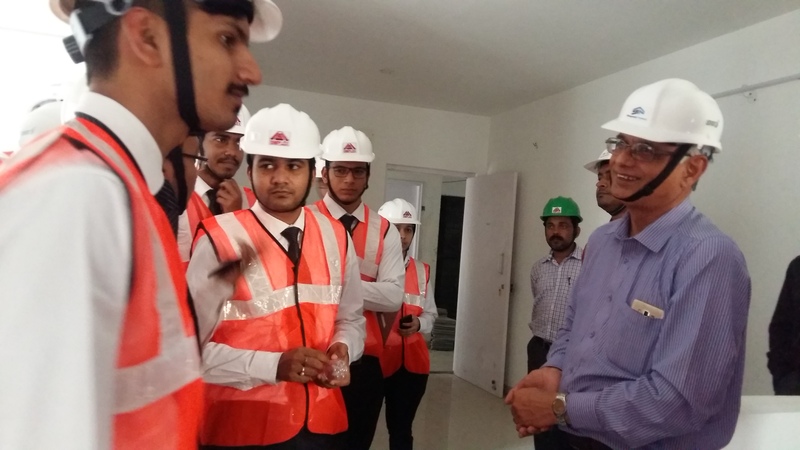 Organized industrial visit by the Institute at GRSE. Students of AIM K visited Coca Cola plant in Kolkata on 29 th April 2016 . 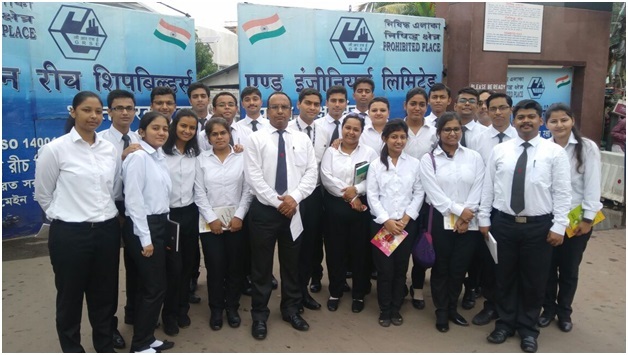 INDUSTRIAL VISIT TO ITC LTD.
Students of MBA – 16 and 17 were taken to the ITC Kidderpore factory which is a Cigarette manufacturing industry. The students were accompanied by The Director of Army institute of management- Maj Gen (Retd.) Dr. S C Jain and also by the revered faculty. Apart from the above industry visit, students from MBA with Director Maj Gen (Dr)SC Jain, VSM**(Retd) visited different plants Like Tata viz. Tata Steel, Tata Motors, ISWP, etc. to get exposure to automated manufacturing processes The team also visited the XLRI campus and many more.